Ametrine is a naturally occurring form of Quartz. Ametrine is a mixture of Amethyst and Citrine and combines the healing powers of both. 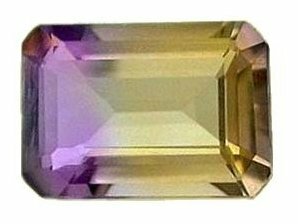 Ametrine strengthens the immune system and aids the autonomic nervous system. It heals physical, mental and emotional exhaustion. Alleviates allergies and digestive disorders.